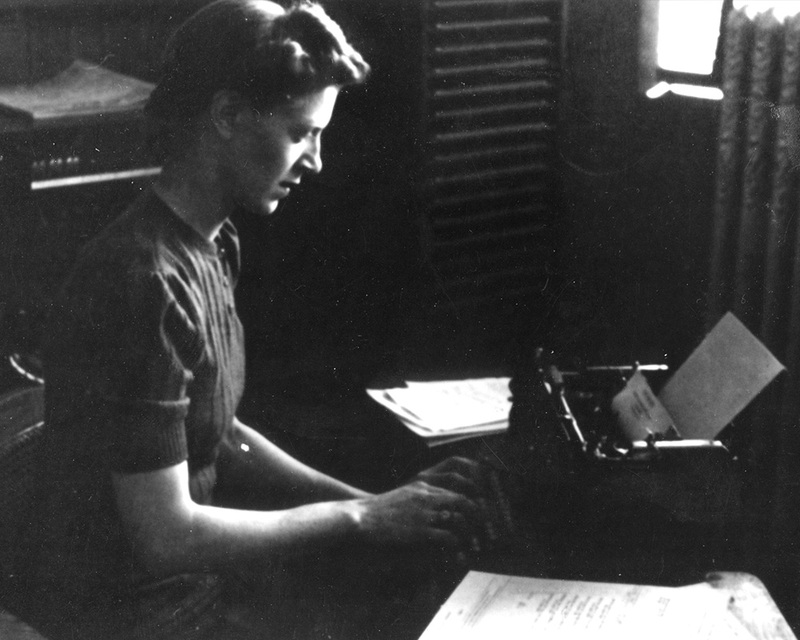 Hope Burke, one of the first women to join the workforce in 1942, became a career employee of Universal. She was formerly a Ramsey Shoe Company clerk. 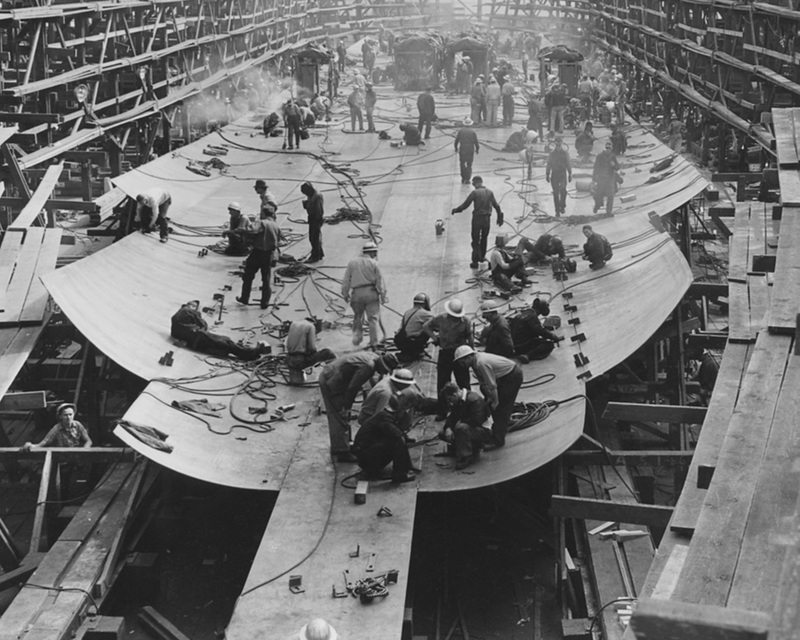 Production space in the downtown Wall St. facility couldn’t stay abreast of World War II output demands. 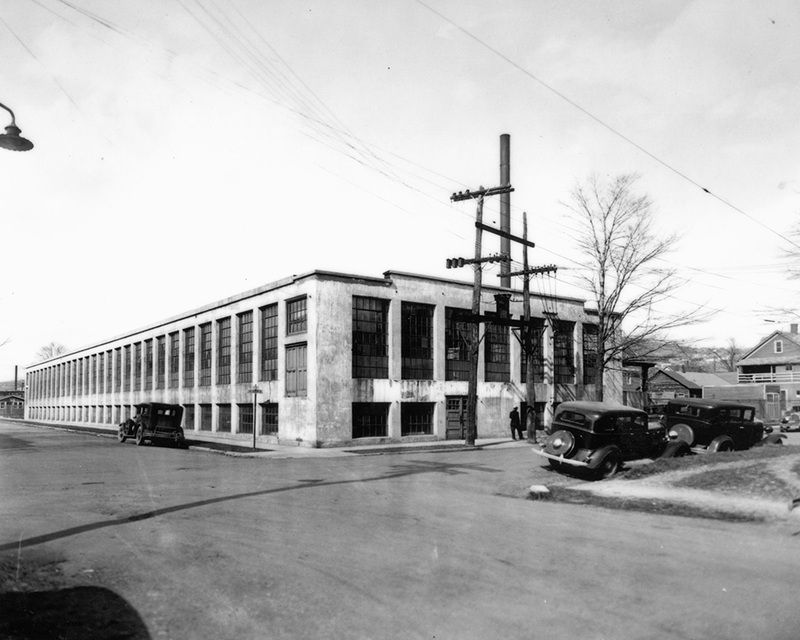 So in 1942, Universal moved into the Ramsey Shoe building at the corner of East Frederick and Ely Street. 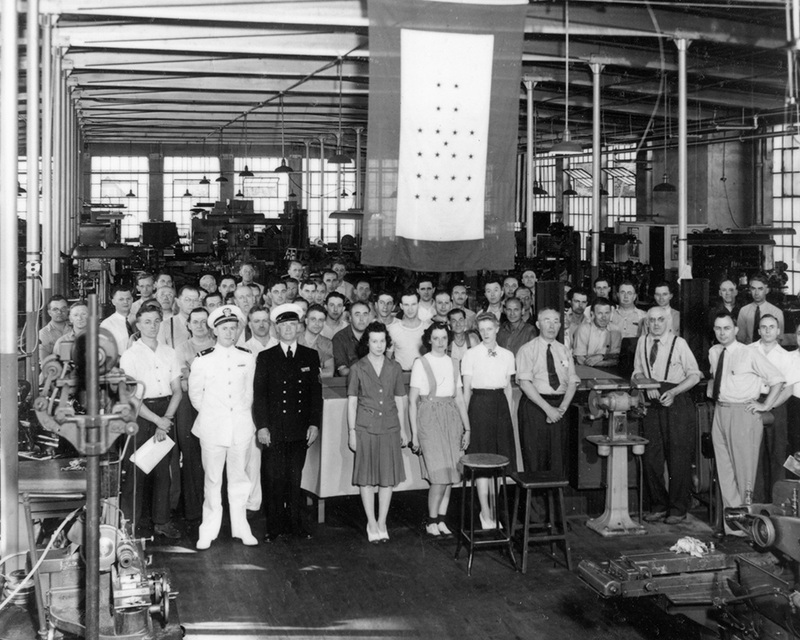 Universal employees receive recognition from Army/Navy representatives for productivity accomplishments during World War II. 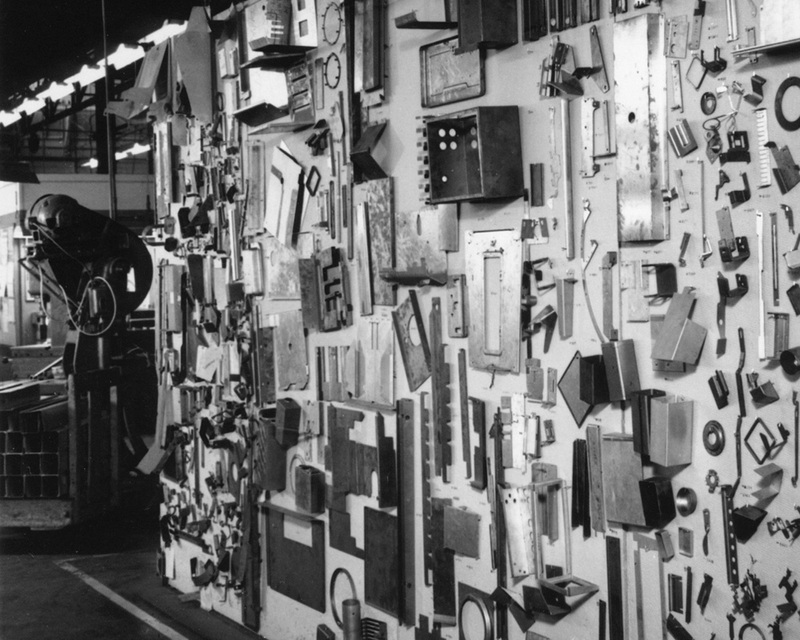 at Frederick St.
Picture shows a random sampling of typical stampings from “Short run” or “Stampings-in-small-lots” business which started up after World War II. 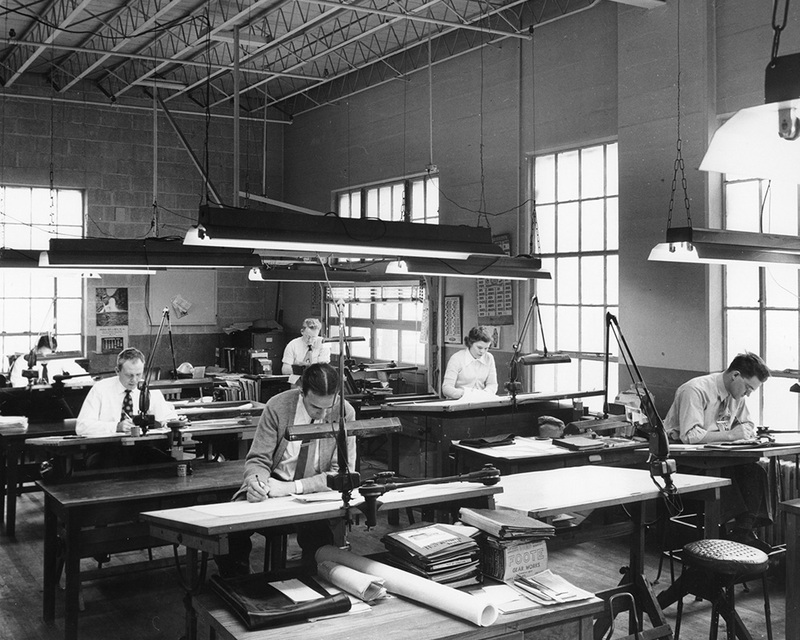 The Design Department at Frederick St. facility during World War II era, works on the company’s tool design requirements. Cash profit sharing adopted to award efforts of staff. 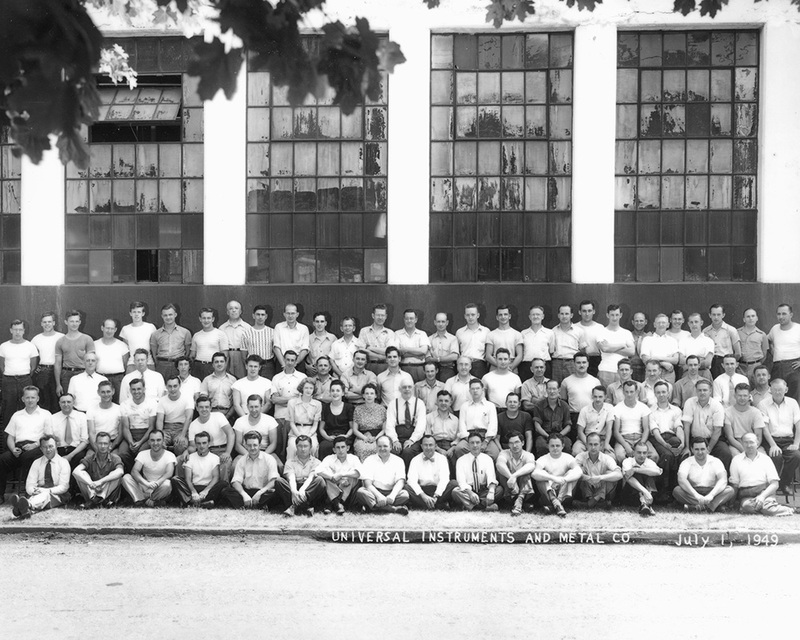 Employees assembled outside Frederick street building to mark “once-in-a-life-time” mid-year case bonus during July, 1949. World War 2 begins on December 7, 1941 with attack of the US Naval Air Base at Pearl Harbor and ends on August 14, 1945 after the bombing of Hiroshima and Nagasaki in Japan. 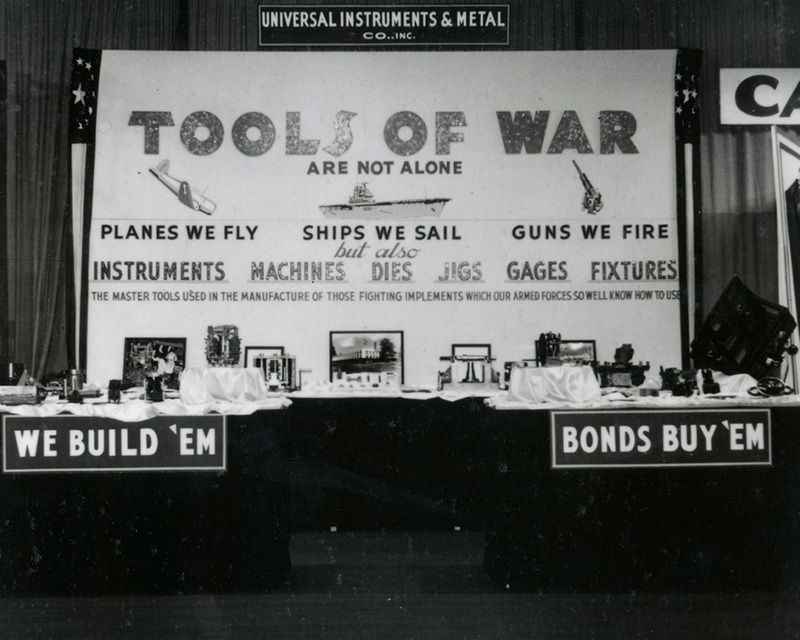 War effort dominated home front. Food and gasoline rationing affects every household. Defense effort produces new technologies in communications, chemistry and manufacturing processes. Man-made substitutes relieve shortages for rubber, oil and cloth. American inventiveness reaches an all-time high. Invention of the transistor; smaller, lighter, and more durable than the vacuum tubes that had been used in radios, transistors touched off a period of progressive miniaturization of electronic devices.